Three Screen Ireland-supported animated TV projects will pitch at Cartoon Forum in Toulouse, one of the world’s largest pitching and co-pro forum for animated television. Cartoon Saloon’s 'Silly Sundays', Mutiny Group’s 'Birdie' and Pictor Productions’ 'Flix' will all pitch at the event. For 3 days, Irish producers will pitch their project in front of 1000 broadcasters, investors and other potential partners from 38 countries. ‘Silly Sundays’, pitched by Nuria Blanco, Paul Young and Maurice Joyce for Cartoon Saloon, follows an Irish-Mediterranean family in a world where school and work are out for the week and a day of family fun lies ahead. ‘Birdie’, which will be pitched by Gwendolyn Forde and Paul Lynch for Mutiny Group, is about a spirited little girl with a curiosity for life. Life is a big adventure for Birdie and in her Dreams, she further explores without limits. Based on an award-winning book by Tomi Ungerer ‘Flix' follows a 10-year-old dog who lives with his cat mum, dad and sister in a place that seems in every way like it wasn’t designed for him. But Flix is an outgoing dog who is willing to try anything and is ready to take on the world. From Pictor Productions, the project will be pitched by Aria Ungerer. These projects are all in receipt of development funding from Screen Ireland. 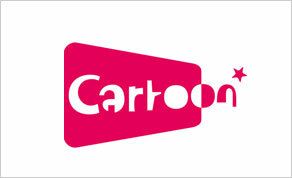 Since Cartoon Forum’s creation in 1990, 753 series found financing, representing a total budget of €2.5 billion. Irish animation talent has been a constant presence at Cartoon Forum over the last number of years and in 2017, Ireland was the second-highest-selected country after France. This followed on from the Forum placing a special spotlight on Irish animation at the 2016 event - the first time ever that such an honour was bestowed on one country.